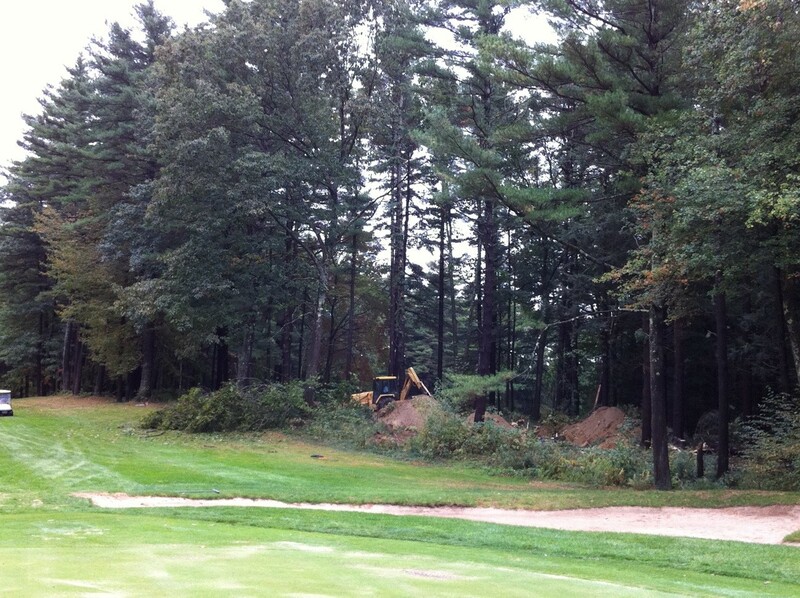 There is quite a bit of work to do to ensure that the golf course is put to bed properly. Tasks include a variety of things from blowing out the irrigation system to cutting down trees, allowing more sunlight for various parts of the golf course. We have been very busy this Fall. We started by cutting down trees behind the 12th green on the North course to allow for wind and air circulation for the 12th and 13th greens. 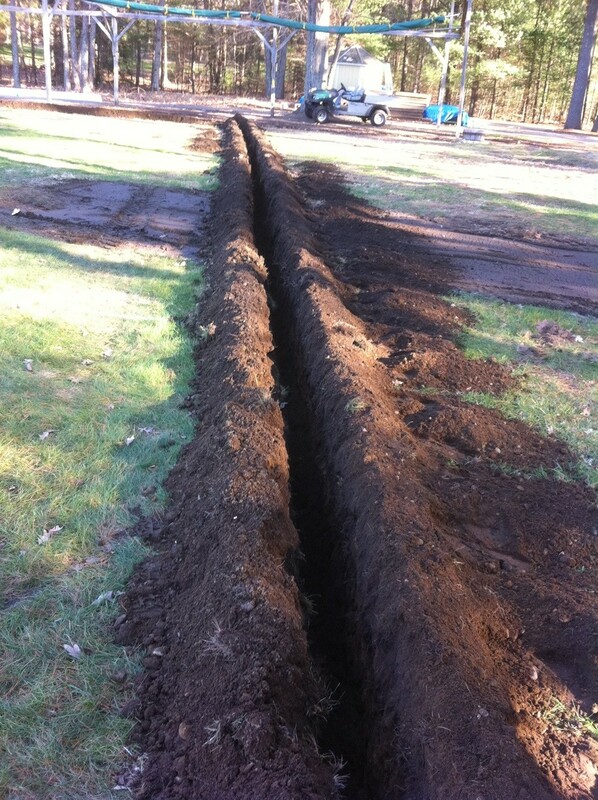 We have also been working on installing new irrigation at the back of the driving range. We are building a grass tee and improving the aesthetics of the golf school facility. We will also be installing irrigation and a short chipping fairway at the facility in between holes 7, 11, and 12 on the North. This will also help improve the overall features of the golf school. In order to protect the greens for the winter, we apply an anti-dessicant with green coloring. This product helps the turf from losing too much moisture during periods of strong, cold wind. 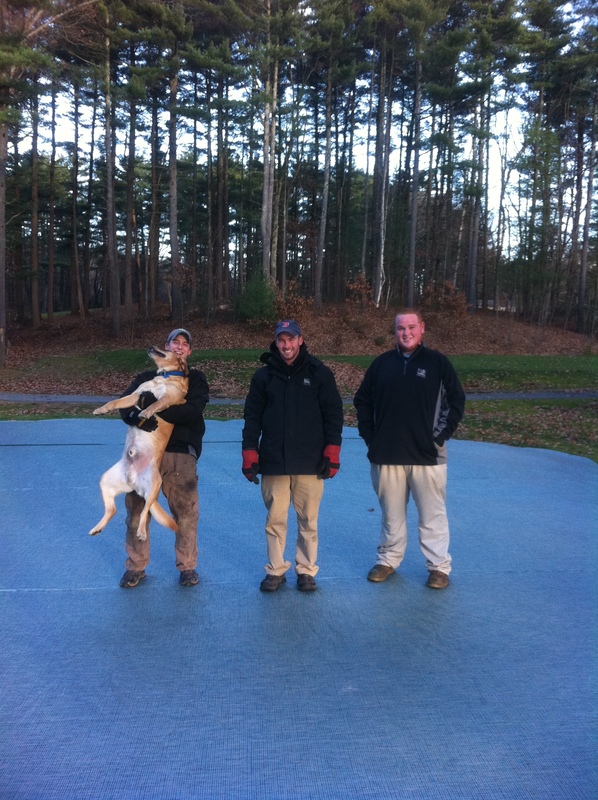 We also apply a snow mold protectant. Snow mold is a fungal pathogen that mainly attacks the leaf blade of just about every variety of cool season grasses. This is a liquid product and it is applied using our spray rig. One of the last steps to winterize the golf course is covering a select few greens. The two practice greens and 3 South typically have seen the most amount of winter damage. 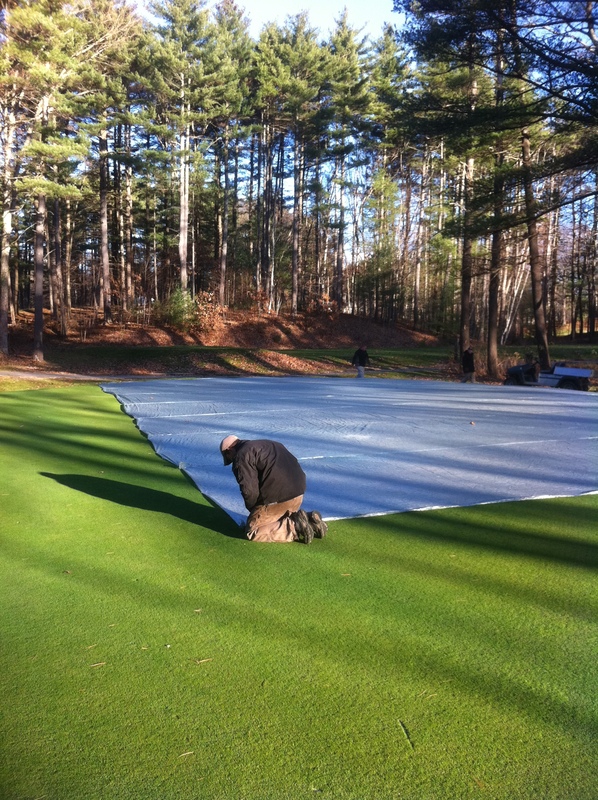 This cover is a permeable, tarp-like cover that allows air exchange and moisture to pass through, but still keep the turf insulated and protected from the elements. Now that the turf is mostly protected, we can continue with our Fall projects. 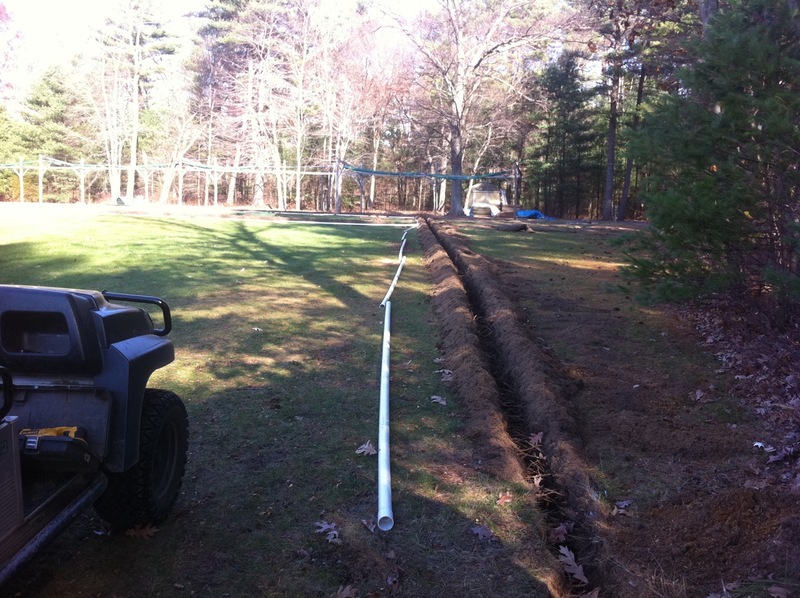 We plan to install a drain line across the 18th fairway and install irrigation at the golf school triangle. Thanks for your tremendous support this season. It has definitely been a memorable one. I will leave you with a video from the archives of our two assistants checking pond depths in the irrigation pond. We found that we didn’t have much water left by the end of August! 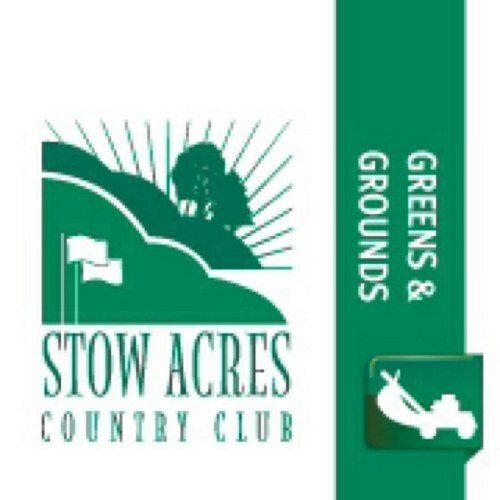 Please keep reading as more posts will come this winter on what we are planning for the 2011 season, research articles, and maybe even some home lawn tips! See you on the course!